Halo and Destiny composer Martin O’Donnell has seemingly been fired from Bungie. Having previously been the studio’s audio director, O’Donnell revealed over Twitter that the company’s board of directors had let him go last week for no reason. ’I'm saddened to say that Bungie's board of directors terminated me without cause on April 11, 2014,’ said O’Donnell. A statement on Bungie’s site contrasts slightly with O’Donnell’s comments and instead states ’today, as friends, we say goodbye,’ and goes on to wish him luck on future endeavours. 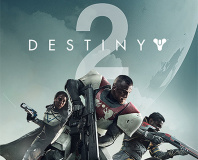 He had worked on the scores for several of Bungie’s projects, including older titles Myth 2 and Oni and Halo: Combat Evolved. 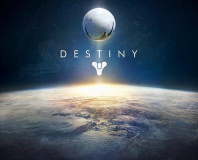 He was also working on the score for the studio’s upcoming title Destiny, collaborating with former Beatle Paul McCartney. The score is planned as a full release of its own under the title Music of the Spheres. As well as composing scores, O’Donnell was also responsible for a lot of the general sound work and for directing voice talent in several of Bungie’s games. O’Donnell had been working with the company since before it was bought out by Microsoft in 1999, originally working on a contract basis out of his own company, TotalAudio.